Legendary Bruce Willis — Grand Opening! 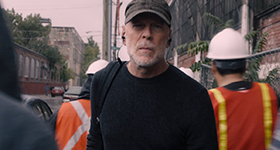 I am thrilled to announce the grand opening of the newest & largest fansite for actor Bruce Willis! Please feel free to check out our photo gallery, currently featuring over 60,000 photos of Bruce. Also, check out the video archive which currently has over 60 videos! I’ve been working on the site for quite awhile, and I am so excited to finally open it for you! There is much, much more to come, so be sure to bookmark us, and keep checking back! This entry was posted by Courtney on Wednesday, September 12th, 2018 at 12:04 AM. It is filed under Website. You can follow any responses to this entry through the Comments Feed.